March | 2016 | On The Road in Florida With Idelle! Take a step back in time when entering the North Brevard Historical Museum. The museum celebrating its 25th anniversary located on 301 South Washington Avenue in Titusville. Col. Henry Titus founded Titusville in the late 1860s. A replica of a living room and dining room depict early life in Titusville. A settee given to his daughter Minnie as well as photos and a secretary desk from that era. In the dining room, a Willow Pattern laid out on the dining room table and other china displayed in the China Closet. James Pritchard an early settler owned a hardware store, founded the Indian River State Bank and built the first electric plant. Items from the hardware store, the electric plant and a safe from the bank exhibited. Glass cases full of memorabilia from WWI and WII featured. A WWII era Japanese Carbine Rifle and a book of military propaganda posters on display. Native American Indian Pottery Shards and a complete story of Chief Osceola, a Seminole Indian Chief. The Citrus Industry from Sharpes to Hollywood, Florida. A model of a printing press used to print the Florida Star in the late 1870s. Handmade items from jewelry to early 20th century baby clothes. A fire destroyed the building at 301 and 303 South Washington Avenue. Walk along the avenue and read the plaques on the building that give an in depth history of the area. Entrance to the museum is free, donations accepted. A Historical Walking Homes Tour offered the first Saturday in December. Call the number on the website for details. Silver Springs State Park located in Ocala. Silver Run Museum & Environmental Education Center open to the public on weekends owned by the Marion County School System. Articles placed inside the time capsule in 1991 next to the museum. The time capsule won’t be opened until 2091. Swings and a jungle gym for children to play on. Bring a picnic lunch or barbecue in one of the pavilions. Whether you’re walking or hiking along a trail, biking the 4.5-mile trail, camping or driving Be Bear Aware. Many prehistoric animals from the Columbian Mam-moth, Giant Short-Faced Bear to the Archaeocete Whale, Pleistocene and Miocene Fossils. Many exhibits throughout the museum and educational center. Steamboats a popular way of travel in the 19th century. People would take a journey on the Marion Sternwheel Riverboat on the Ocklawaha River from Palatka to Silver Springs. Henry A. Gray captain from 1871 until 1880. Tarzan movies and “Cross Creek” a movie about Marjorie Kinnan Rawlings made on location. Take a self-tour of a replica of a Cracker Homestead. Entrance fees and hours of operation found on the website. 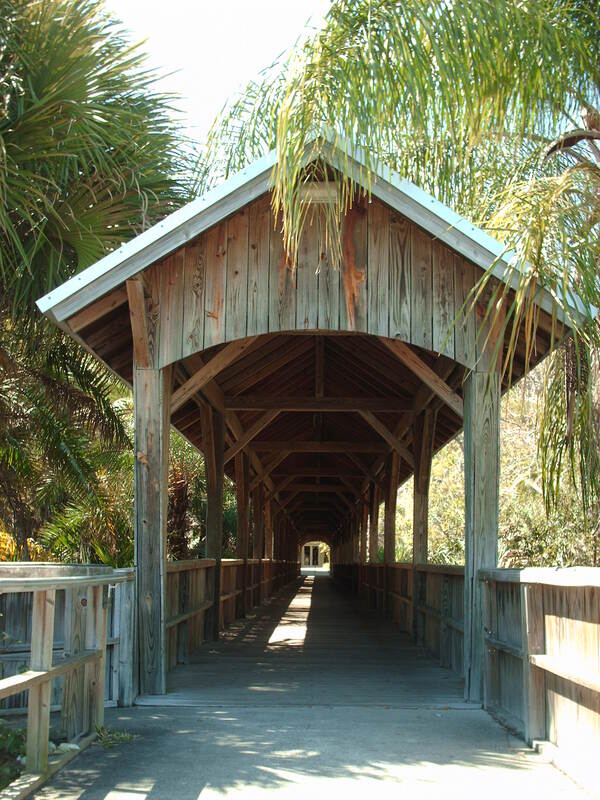 Walk through the covered bridge to the 15-acre botanical garden located at 150 W. University Blvd in Melbourne. The garden located on the campus of Florida Institute of Technology. 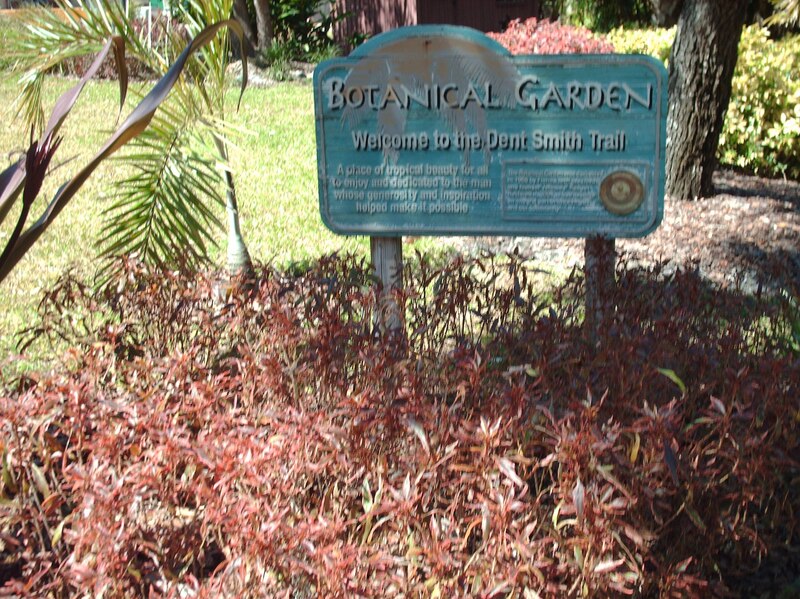 The Dent Smith Trail named after the man who helped develop the palm garden at FIT. A monument in honor of Dr. Jerome P. Keuper, president of the institute and founder of the botanical garden. 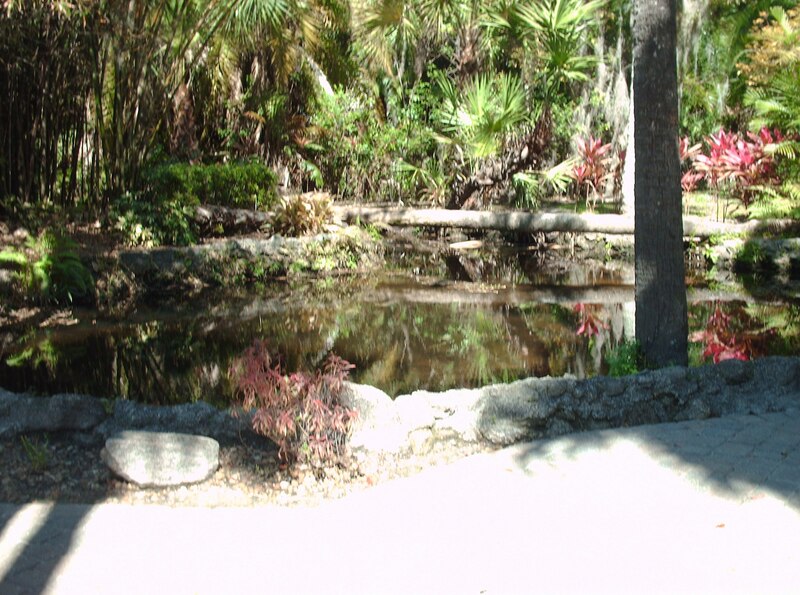 Creeks and trails throughout the garden as well as over two-hundred palms. Have a picnic on one of the tables or just sit and relax on one of the benches donated by friends of the garden. 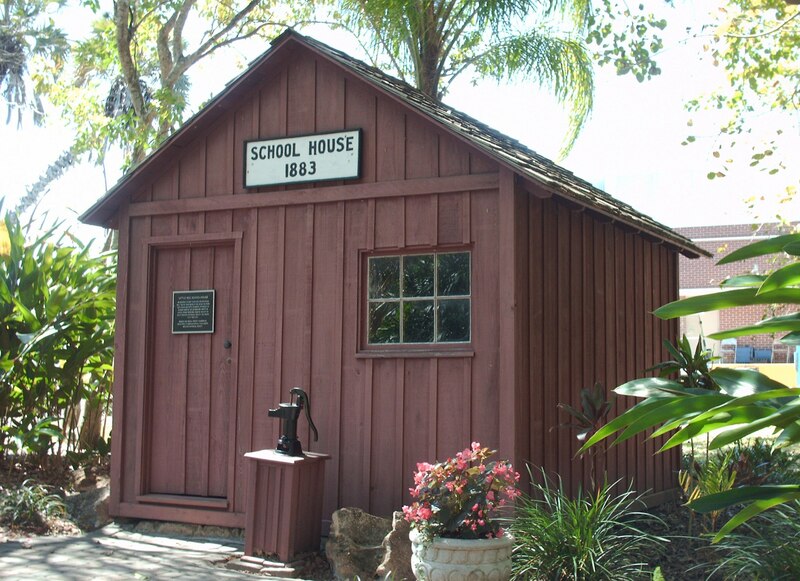 The little red schoolhouse built in the early 1880s by John Goode an early settler. A plaque details the history of the school. 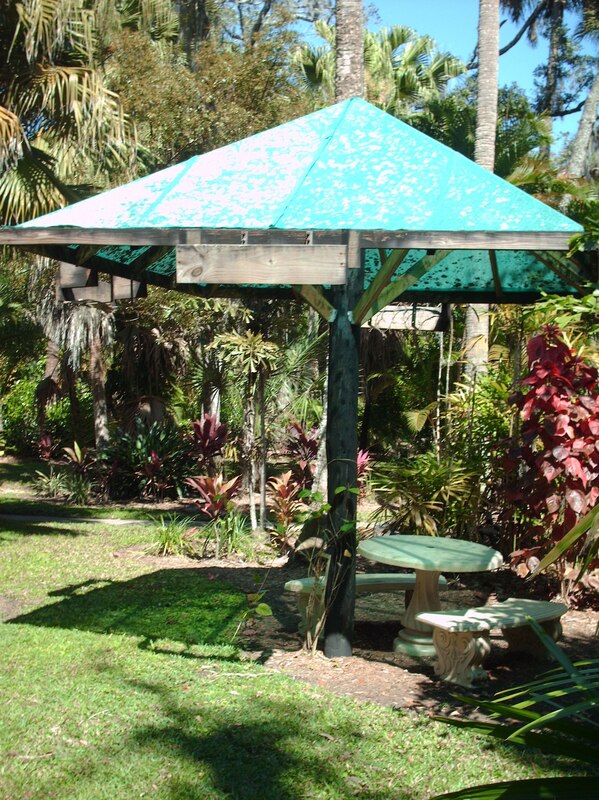 A garden wouldn’t be complete without a gazebo dedicated in 2009. Palms from all over the world encompass the garden. 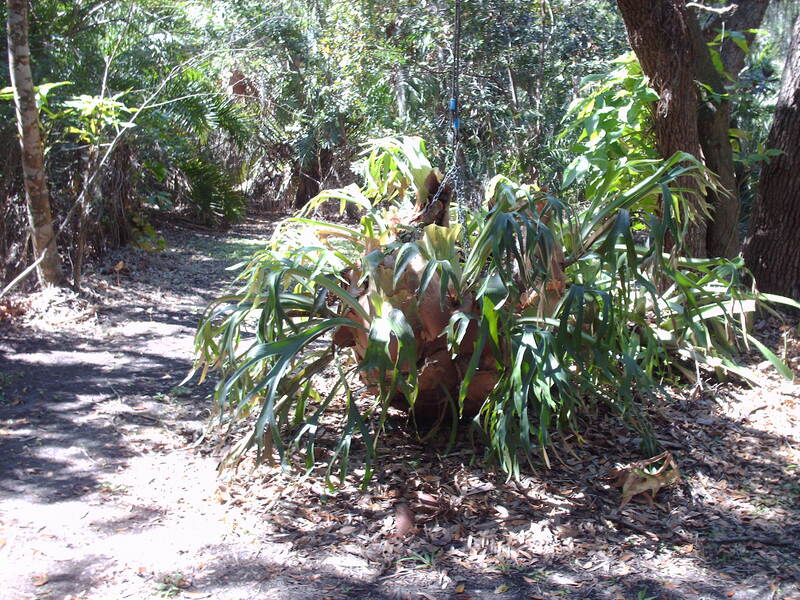 From the Bottle Palm native to the Mascarene Islands in the Indian Ocean to the King Palm from the rainforests of eastern Australia. 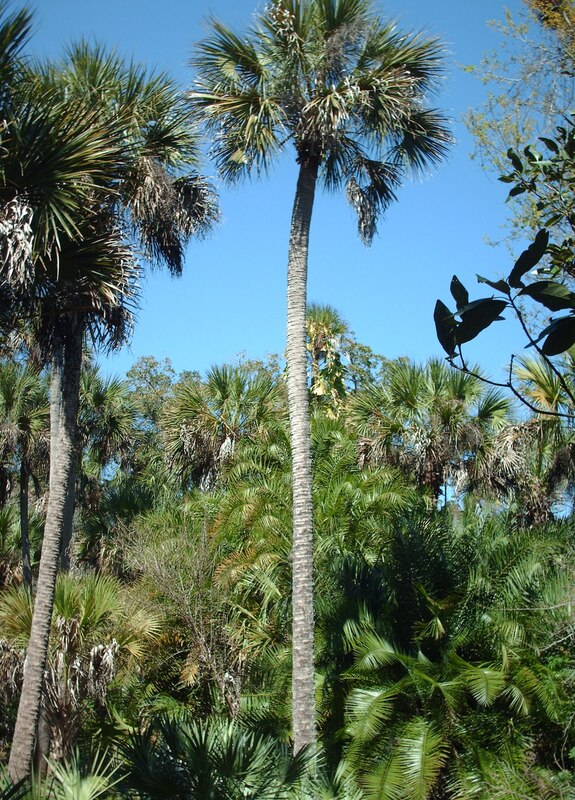 Cabbage, Paurotis and Royal Palms native to Florida. Print a map and download the self-guided tour. The botanical garden is lush and very serene. Entrance to the garden is free; hours of operation on the website.